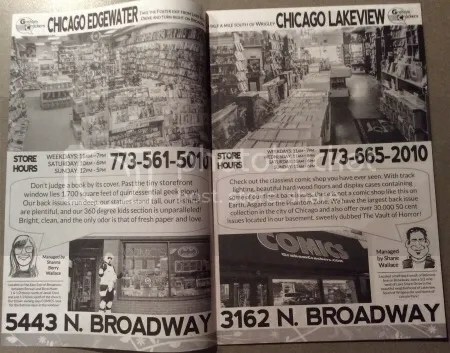 Graham Crackers owns a chain of comic shops in the Chicago area. 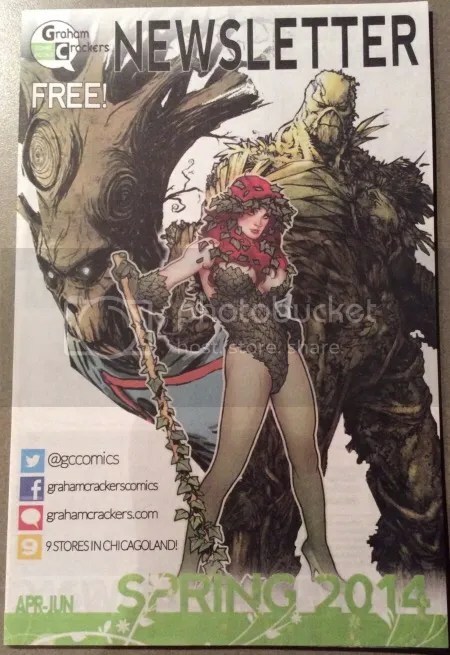 I was thrilled to see that they featured Swamp Thing on their 2014 Spring newsletter. I wasn’t aware of this Swampy sighting until a couple months ago and am glad I was able to get a copy. 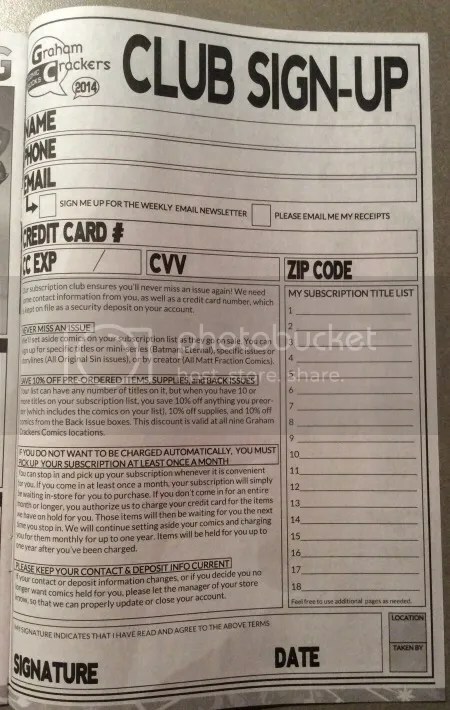 The newletter features ads and info for all of their stores. 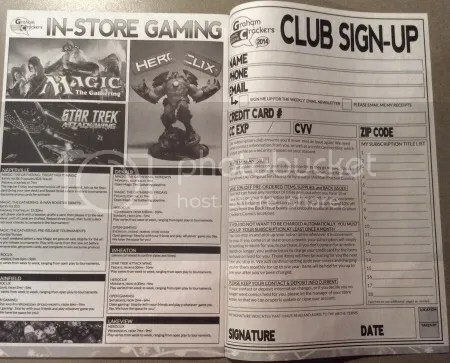 This club sign-up sheet is pretty great. 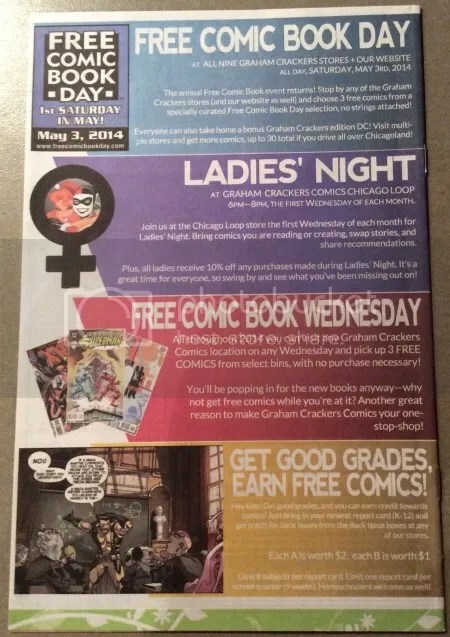 There should be more comic clubs and fan clubs. The back cover features upcoming activities.